The magazine provides a snapshot of remarkable events and news from the past year. 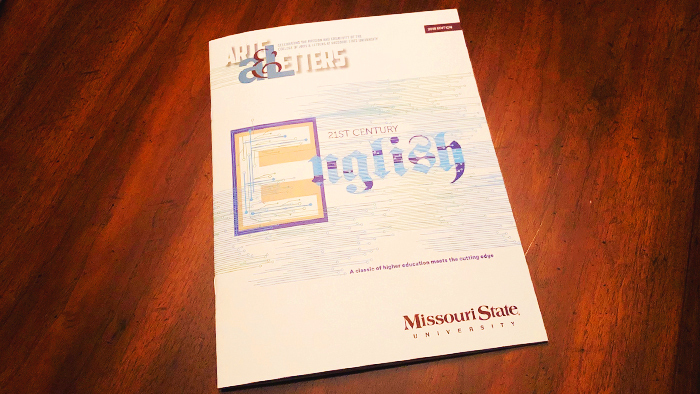 The 2018 issue of “Arts & Letters Magazine” features stories about the English department and the department of modern and classical languages’ International Culture Fair. 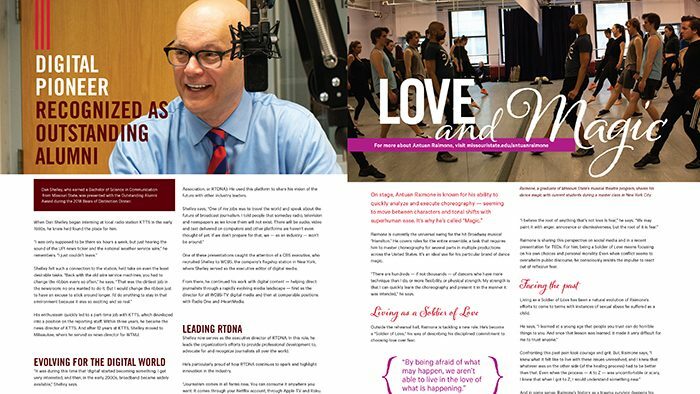 It also includes profiles of Missouri State’s recent Outstanding Alumni Award recipient, two Broadway stars, two people who keep campus entertained and a faculty member who connects communication and culture. The section “COAL Students Learn By Doing” illustrates the college’s applied learning approach through the experiences of four students: a photographer, a filmmaker, a performer and a researcher. Dr. Shawn Wahl, interim dean of the College of Arts and Letters (COAL), says the magazine provides a glimpse of what COAL has to offer. 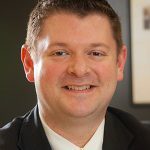 “These people, programs and events are a few of the reasons why the College of Arts and Letters is special,” he says. Like the 2017 edition, this year’s “Arts and Letters Magazine” is fully integrated with a digital version, allowing readers to engage further with stories that interest them. Many of the digital stories include multimedia elements, such as video or additional photography. 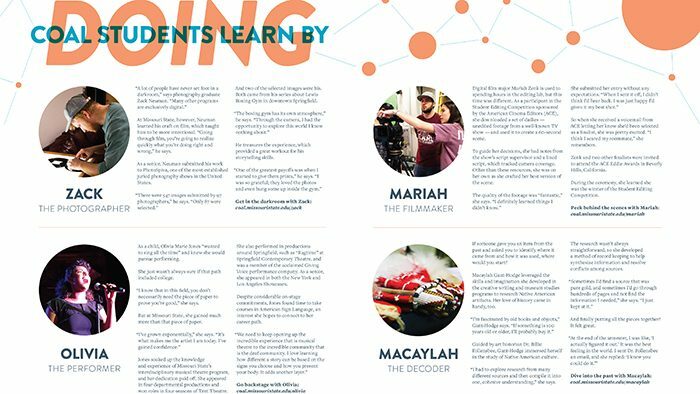 These elements allow readers to experience magazine stories in new ways.